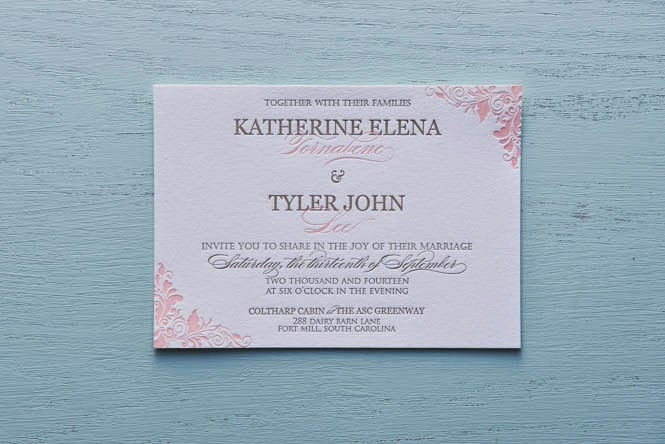 I began working with Katie in December of 2013 on her Letterpress Wedding Invitations. She’s getting married at the beautiful Anne Springs Close Greenway with her reception at The Magnolia Room in South Carolina this coming September. When she initially contacted me, she told me she wanted a romantic feel to her custom design using the colors: blush and gold. What a perfect color combination. It just screamed romance in my eyes! We incorporated some floral details in the corners to give it that romantic feel as well. She did mention that she didn’t want it to be “too girly” so with that in mind, I thought using the Georgia font for the first names would make it less “girly,” and using a beautiful script font for their last names would still tie into the romantic look. I thought having their last names overlap with their first names would be so cool especially with letterpress printing. I was very pleased with the final product. 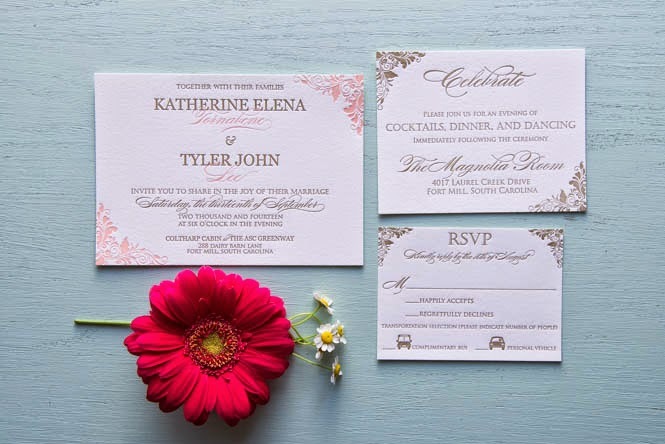 We printed the entire letterpress wedding invitations suite on our C&P. 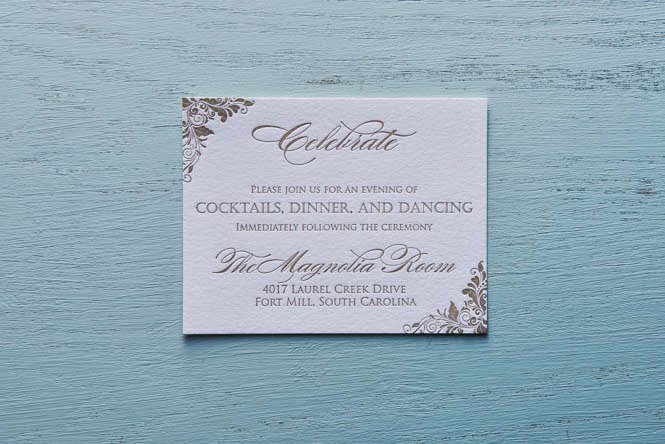 The invitations, reception card, and RSVP card were all printed on our Pearl White cardstock in the 110#. I thought the Pearl White was a perfect choice for this custom design as it gave the overall look a sweet, soft, romantic feel. She followed up with me shortly after she received her invitations with a delightful e-mail! Contact us today for a free quote! 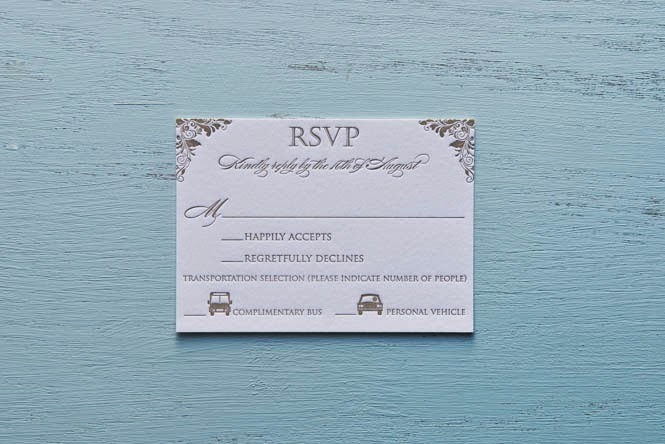 Please be sure to check out our Facebook page to see other photos of our Letterpress Wedding Invitations.